This is our west coast branch featuring that lovable man, Leander! We are pleased to announce a new podcast on the Scowls network…. Capes & Scowls West Issue #30 - What is Art? C&S West Issue #29 - What if you Ran Marvel or DC? C&S West Issue #27 - ALL NEWS!!! The Capes and Scowls West team focuses on comic books, TV, movies, anime, manga, and general nerd and geek entertainment. The goal is to highlight the best and worst in recent nerd-dom. But it is not uncommon that we get sidetracked in tangents that hit on deeper issues such as, gender, race, diversity, representation, etc. Although our updating schedule is a bit wonky, we strive to bring two high quality, discussion-based episodes to you every other week. 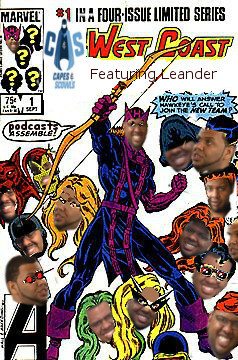 Our main show consists of the latest news, a discussion topic, comic reviews, or anything else! Our “.5” episodes are comic reviews only, where we highlight the best and worst of the past two week’s comics. 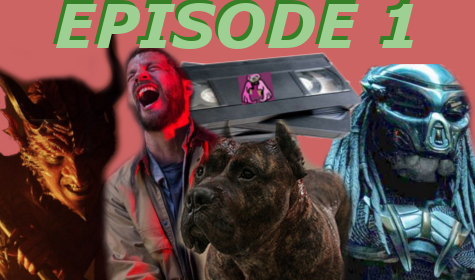 We also try to get as many minisodes about random topics out as possible because we care! If you have any suggestions for episodes, we’d love to hear them, so comment below! A recent update to the crew: unfortunately our main man Leander has moved to Denver, so he will not be regularly appearing on the show. I know, I know. The uproar is clamorous already. “But Leander, we love you!” “Give us our Leander back!” Fear not fans! But I have to go now. I already see the angry mob forming outside.